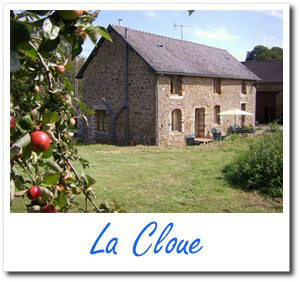 I live in France with my family on an organic farm and busy Chambres d'Hôte www.guesthousefrance.co.uk. I've always been into computers, and began learning to programming simple games on a Commodore C64 at 7 years of age. I worked for several years for Lexmark and in Local government, before our move to France in 2007. During my career in the UK, I worked in various aspects of business from customer service, technical support and accounts through to software implementation, web software development and training of users and staff. Since my move to France, I have continued to develop my skills as a web designer and programmer keeping up with modern technology trends and changes. The website I designed for our own Chambres d'Hôte has had a significant impact on the success of the business, doubling the bookings within six months. Developing the website put all my coding, database, designing and SEO (Search engine optimisation) skills to good use, we decided in 2013 to add a secure online booking system for customers to use. This has dramatically increased the number of customers compared to the previous year without this feature. The website is fully mobile compatible allowing secure booking from any capable device. For our use it helps us to easily keep track of who has paid a deposit and who is due in next etc. We can easily send stylised (branded) emails to customers and also use it to send our personalised Christmas e-card. What are my aims with Spotty dog software? I'm always following technology and as I watch how the world is developing, I see the internet being used more and more for business and pleasure. However, I also see lots of untapped potential for business's to use the internet as a resource to help improve their customers experience and equally to help make their business easier to run. I'd like to try and do my part to encourage a change, so that this overlooked potential is used more fully. Where I feel it's appropriate I will try to encourage business to make full use of the internet, to move it away from just using it as yet another advertising medium. I'm not proposing anything new or radical, online shops and booking systems have been around almost as long as the internet itself. I would like to see them being used more, they are not expensive to setup compared to the return you get and are easier to maintain than perhaps most think. I'd like to see a world where I can check for availability and make a reservation at any local restaurant via the web, order some goods from my nearest local DIY shop so I can collect them later or have them delivered. I don't see it just as the domain of bigger companies but accessible and achievable by all. It's all possible. let's make it happen! Spotty Dog Software Freelance designer/builder of websites and software developer. Ideal for small to medium business or individuals. I'm based in the North of the Pays de Loire but have customers in the UK, USA and France. For bespoke website design, software or applications that are desktop and mobile friendly, with an eye catching design that does not detract from usability, look no further.